I just got back from visiting my brother in Spain. He’s studying abroad in Granada, the beautiful city I never wanted to leave. I’ve never been a fan of window seats – I get claustrophobic stuck in the corner, and I always drink a lot of water and then have to pee which means everyone in the row has to get up twice – but I’m glad I forgot to pre-check and choose an aisle seat. When I landed, I had to take a bus from Málaga to Granada. I spent the two hours staring out the window. Somehow I’d thought Spain was more lush, less dry. The first night, Max introduced me to tapas, which is the reason I want to live in Granada forever. You hardly need to eat dinner, just go out for drinks and every drink gets you a snack. One place we went gave us mini enchiladas. I posted up in different cafes to work Monday – Wednesday, and Maxie came and did work with me in between classes. On Friday, Max, his friend Silas, and I went to Albaicín, a neighborhood on a hill that was the original walled city when it was under Arab rule. We wandered so many good alleys in search of this one lookout Silas remembered. Along the way, we were propositioned to buy weed by this kid who looked 16 and we bought our lunches at a little grocery store. The lookout had a view of Alhambra, the awesome fort that overlooks the city from a hill. We wanted to find a quieter lunch spot so we walked all over Albaicín until we found this awesome wall that overlooked caves where people were living and, apparently, farming, as well as the rest of the city. After a delicious sandwich for lunch (baguette is good in Spain, too), we climbed down the other side of the wall and walked by some of the cave homes on our way down to the river that would lead us back into town. The hills were awesome, and from some vantage points you could see the white caps of mountains not too far away. I love the white buildings with the red tile roofs, and the cobblestone streets, and all the bread and cheese. Not sure I could get used to a giant lunch and nothing being open from 2-5 pm, but for the scenery, I would certainly try. Max had been injured while climbing a mountain (he had to be helicoptered out!) before I got there and had just gotten his stitches out. So while I was there, we went on a run together with Silas and his other friend Ivy for his first run back. He was like, great, running with y’all will be so chill, and THEN WE RAN FOR TWO HOURS. Still chill for him, not so much for me! It was the longest I’ve run since the half marathon in July. The run was beautiful, though, we ran up into the hills behind Alhambra before turning down into the valley and making our way back along a winding country road. I ran on my own on Monday and followed the same trail but not as far. It was so dang beautiful. I’m trying to run consistently again (Max recommended a training plan), and it would be so easy if I could run on those trails all the time! When Max was helping me with a training schedule, he recommended training for 5K instead of the half marathon, since it’s easy to run a lot of 5Ks and see your progress. Plus I’m more of a sprintery type. We’re going to get the whole fam to run a 5K in December when I’m home for the holidays. I was guessing I’d run that 5K at about 25 minutes and then try to improve all the way down to sub-20 (which is SO FAST – you have to run 6’25” pace!). The only 5K I’ve ever run before (just after volleyball season 3-4 years ago), I did in about 26 mins. But now I’m hoping to get more like 23 or 24 mins, since the last 5K of my 8 mile run was in 25:56. We’ll see! 10/10 would go to Spain again. Thesis revamp: All hail Ted Miguel, PhD, god of economic writing! In order to have a high-quality writing sample for the RA jobs I’m applying to this fall, I am revamping my thesis! Joy of joys! I thought about doing this earlier in the year and even created a whole plan to do it, but ended up deciding to work on this blog, learning to code, and other, less horrifying professional development activities. I say horrifying because the thesis I submitted was HORRIBLY WRITTEN. So so so bad. I cringe every time I look back over it. I had tackled a 6-year project (the length of time it took to write the paper I was basing my thesis on, I later found out) in four months time. Too little of the critical thinking I had done on how to handle the piles and piles of data I needed to answer my research question actually ended up in writing. I thought it would be a drag to fix up the paper. I didn’t expect to still be as intrigued by my research topic (democracy and health in sub-Saharan Africa!) or to be as enthusiastic about practicing my economic writing. I’m taking the unexpected enjoyment as a positive sign that life as a researcher will be awesome. I’ve been thinking critically about the question of democracy and health and how they’re interrelated and how economic development ties into each. I’ve read (skimmed) a few additional sources that I didn’t even think to look for last time and I already have some good ideas for a new framing of why this research is interesting and important. The first time around, I focused a lot on the cool methodology (spatial regression discontinuity design) because that’s what I spent most of my time working on. My perspective on the research question has been massively refreshed by time apart from my thesis, new on-the-ground development experience, and the papers I’ve read in the interim. My first tasks have been to re-read the thesis (yuck), and then gather the resources I need to re-write at least the introduction. I am focusing on the abstract and introduction as the first order of business because some of the writing samples I will need to submit will be or can be shorter and the introduction is as far as most people would get anyways. To improve my writing and the structure of my introduction, my thesis advisor – who I can now call Erick instead of Professor Gong – recommended reading some of Ted Miguel’s introductions. I printed three and all were well-written and informative in terms of structure; one of them (with Pascaline Dupas) even helped me rethink the context around my research question and link it more solidly to the development economics literature. The next move is to outline the introduction by writing the topic sentence of each paragraph (a tip taken from my current manager at IDinsight, Ignacio, who is very into policy memo-style writing) using a Miguel-type structure. I’ll edit that structure a bit, then add the text of the paragraphs. Posted on September 8, 2018 January 22, 2019 Categories Economics, Life Updates, RecommendedTags development, research, thesis, writingLeave a comment on Thesis revamp: All hail Ted Miguel, PhD, god of economic writing! Disclaimer: I was a little drunk on power (calculations) when I wrote this, but it’s me figuring out that econometrics is something I might want to specialize in! I think I just figured out what I want to do with the rest of my career. I want to contribute to how people actually practice data analysis in the development sector from the technical side. I want to write about study design and the technical issues that go into running a really good evaluation, and I want to produce open source resources to help people understand and implement the best technical practices. This is always something that makes me really excited. I don’t think I have a natural/intuitive understanding of some of the technical work, but I really enjoy figuring it out. And I love writing about/explaining technical topics when I feel like I really “get” a concept. This is the part of my current job that I’m most in love with. Right now, for example, I’m working on a technical resource to help IDinsight do power calculations better. And I can’t wait to go to work tomorrow and get back into it. I’ve also been into meta-analysis papers that bring multiple studies together. In general, the meta-practices, including ethical considerations, of development economics are what I want to spend my time working on. I’ve had this thought before, but I haven’t really had a concept of making that my actual career until now. But I guess I’ve gotten enough context now that it seems plausible. I definitely geek out the most about these technical questions, and I really admire people who are putting out resources so that other people can geek out and actually run better studies. I can explore the topics I’m interested in, talk to people who are doing cool work, create practical tools, and link these things that excite me intellectually to having a positive impact in people’s lives. My mind is already racing with cool things to do in this field. Ultimately, a website that is essentially an encyclopedia of development economics best practices would be so cool. A way to link all open source tools and datasets and papers, etc. But top of my list for now is doing a good job with and enjoy this power calculations project at work. If it’s as much fun as it was today, I will be in job heaven. Percent of woman authors on different development topics: Drawing on all empirical development papers from 2007-2017, they find, out of all papers, “51% were written by all men, and 15% by all women. The average female share of authors was 28% (weighting each paper equally).” Gender, health, trade, migration, education, poverty and conflict are the development topics with a greater than average number of woman authors. I love their thoughtful outline of the methodology they used for this little investigation. Describing the world with data is awesome. Dr. Nneka Jones Tapia – the clinical psychologist running Cook County Jail – had amazing things to say on the Ezra Klein Show last year in July. She is powerful and thoughtful and doing amazing things to improve prisons in the US. New Zealand PM Jacinda Ardern gave birth on the 21st. She’s only the second world leader to give birth in office, after Pakistan’s Benazir Bhutto. The best part is that she is 100% unapologetic about being a mother in office, even while she acknowledges the challenges she will personally face in balancing a new baby and work. These two leaders are just out there in the world leading noble, thoughtful, innovative lives. In love. My best friend Riley and I made a pact to meditate daily for ten days, starting on Monday. I have done it each day this week and my week has felt fuller and more focused than ever. Not willing to attribute full causality to the meditation, but it definitely has been a tool to start my day well and a reminder throughout the day that I can and want to stay focused and in the moment. 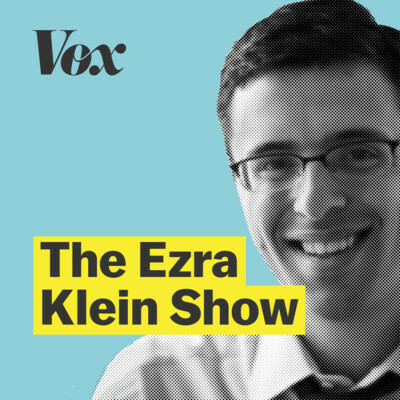 The Ezra Klein Show interviews are always on point, and “The Green Pill” episode featuring Dr. Melanie Joy was no exception. The June 11 show discussed “carnism” – the unspoken ideology that tells us eating animals, wearing animals, and otherwise instrumentalizing them is good. I’ve been mulling it over for a while now, but the episode’s frank conversation about why veganism is so hard to talk about pleasantly – and why it’s so hard for people to shift from a carnal mindset – motivated me to head back down the vegetarian path. I was vegetarian for a year or so in college, but now I’m aiming for veganism, or something close. I’m not eating meat and am not actively purchasing or eating eggs or milk. At this point, I’ll eat eggs or milk or other animal products that are already baked into something – a slice of cake, for example. Eventually, I want to phase out pretty much all animal products. But I’m giving myself some space to adjust and dial back the carnism bit by bit. The incremental approach should let me stick to it better. It is not mango season in Kenya, but I had the best mango this week. Maybe because I cut it myself for the first time, making an absolute mess. Or maybe because it was the key ingredient to the first lettuce-containing salad I’ve ever made myself at home. But there’s a lot to be said for a fruit that encourages you to embrace your messy nature. When I was at Middlebury, I took classes like Famine & Food Security and Economics of Global Health, learning more and more about humanitarian aid and international development. It didn’t really sink in that these were two different sectors until today. I had a chance to talk to someone who worked for REACH – an organization that tries to collect the most accurate data possible from war zones/humanitarian emergency areas to inform policy. Seem like pretty important work. Our conversation solidified to me that the humanitarian sector is different from the development sector. The humanitarian sector has a totally different set of actors (dominated by the UN) and missions, although the ultimate mission of a better world is the same. Development is about the ongoing improvement of individuals living in a comparatively stable system; humanitarian aid is about maintaining human rights and dignities when all those systems break down. There’s some overlap, of course – regions experiencing ongoing war and violence may be targeted by development and humanitarian programs alike, for example. I also think the vocabulary blurs a bit when discussing funding for development and humanitarian aid. Development isn’t quite sure how it feels about human rights, though. Rights are good when they lead to economic development, which is equivalent to most development work. My interest in humanitarian work has been piqued by this conversation today, though. It was also piqued by my former roommate’s description of her work with Doctors without Borders. The idea of going on an intense mission trip for a period of time, being all-in, then taking a break is kind of appealing. Although REACH itself wasn’t described as a great work experience. Really long hours, but fairly repetitive work. Maybe I should read more about the economics/humanitarian aid/data overlap.